Upsilon Xi mourns the loss of one of its founding members and original Chaplain, Billy J. O'Neal. Along with Duran Palmertree, Duane Lambert, and Dale Huff, Billy J. O'Neal was one of four original members in 1963 that was elected to serve on the first Upsilon Xi Executive Committee. In this role, Mr. O'Neal set the standard for several generations for Upsilon men. After graduation from Lee, Mr. O'Neal served in many capacities throughout the Church of God. Mr. O'Neal was currently serving as a National Evangelist. He has also served the Church of God as Administrative Bishop, State Youth and Christian Education Director, Pastor, and served on numerous boards and committees. Billy J. O'Neal died of a brain hemorrhage. Services will be held at Sale Creek Church of God in North Georgia (details below). The Upsilon Alumni Association will be sending flowers. Billy J. O'Neal will be missed be everyone in the Upsilon Xi family. THOMPSON'S STATION -- Bishop Billy J. O'Neal, was called home to his reward on Thursday, July 10, 2008. He preached Sunday morning to a congregation near Queens, N.Y. Early Monday morning, July 7, he was found in the hotel room unconscious and immediately rushed to hospital. He had experienced an acute hematoma, with massive bleeding on the brain. He never regained consciousness following emergency surgery. 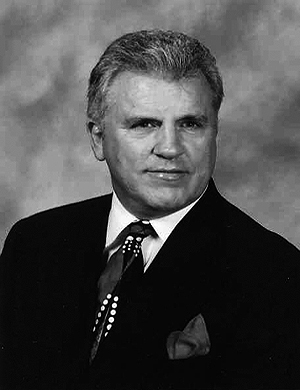 Bishop O'Neal was currently serving as National Evangelist for the Church of God, Cleveland, Tenn. He had also served the church as administrative bishop, state youth and Christian education director, pastor and served on numerous boards and committees throughout his ministry. He is survived by his wife of 45 years, Brenda S. Morgan O'Neal, of Soddy-Daisy; daughter, Alisa L. O'Neal Bolton, of Soddy-Daisy; and son, Billy James "B.J." O'Neal II, of West Palm Beach, Fla.; son-in-law, Terry W. Bolton, pastor of Sale Creek Church of God; daughter-in-law, DeAundra O'Neal, formerly of Birmingham, Ala.; affectionately calling him "PopO" are his grandchildren, Taylor and McKenzie Bolton, Carter and Carson O'Neal. He is also survived by brothers, Paul and Don O'Neal, both of Fort Worth, Texas; brothers and sisters-in-law; several nieces and nephews; and a host of friends. His Going Home Celebration service will be held at 2 p.m. EDT on Wednesday, July 16, at Sale Creek Church of God, located on U.S. Highway 27 in Sale Creek. Interment will follow in Varner Cemetery. Visitation will be from 5 until 9 p.m. Tuesday, July 15, at Sale Creek Church of God. Condolences and memories may be shared at http://www.williamsonandsons.com . Funeral arrangements and services are being taken care of by Williamson & Sons Funeral Home, 8852 Dayton Pike, Soddy-Daisy.